Nothing thrills me more than getting on a plane headed for new adventures... except for that moment of disembarking the plane and entering the familiar SFO terminals, the thought of being only twenty more minutes away from my apartment. I've fallen hard for SO many cities around the world, but still I'm unbelievably grateful that San Francisco is the one I get to call home. 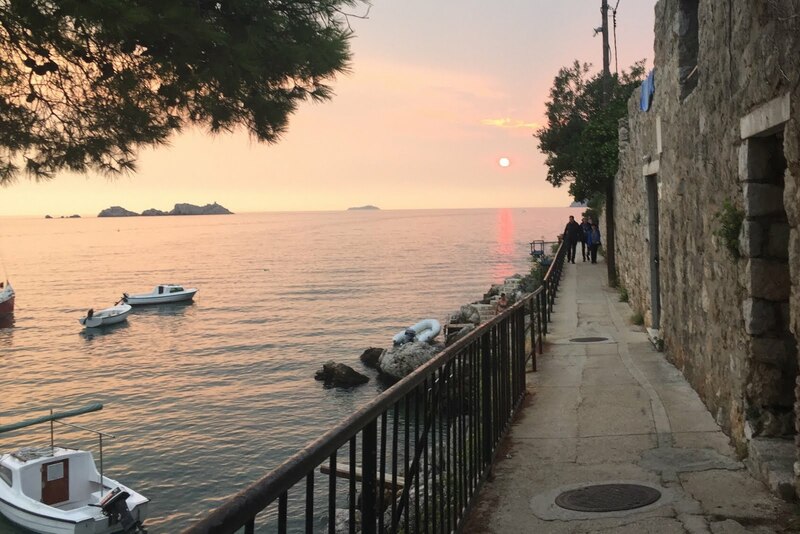 The choice to live here upon graduation two-and-a-half years ago was a natural one: I was broke from a summer traveling around Europe, in need of a job and a place to live, and so of course the most expensive city in the country was the obvious answer. But thank goodness I was delusional enough to actually give this place a try, because I'm completely head-over-heels for San Francisco. 1 // The people! A total cliche, yes, but I stand by the fact that San Francisco's diverse community could not be more open, welcoming, and inclusive to all. I hesitate to portray this city as all rainbows-and-butterflies... that is, until I'm out of this protective bubble and realize that 90% of the time, San Francisco really is all rainbows-and-butterflies. 2 // Even though life here can be very fast-paced what with all the emphasis on innovation, the underlying attitude and vibe here is mellow. There's very little formality or rigidity - everything from dress code to workplace culture is flexible and easygoing. 3 // On the flip side, the abundance of technology and invention and scrappy folks give this city quite the healthy dose of excitement and urgency! There's always something new to create and test and ship to the world! 4 // San Francisco is beautiful. 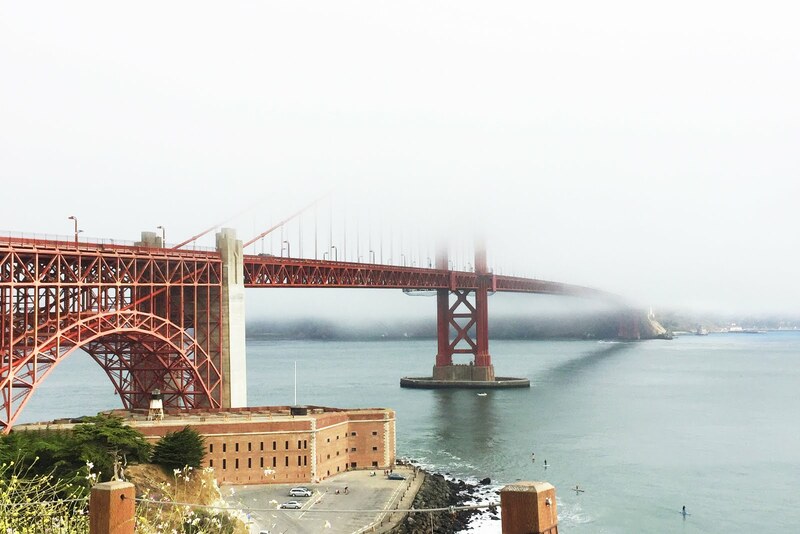 Postcard views everywhere you turn: the iconic Golden Gate Bridge (can you spot her in these photos? Hint: in the picture above, she's peeking out right in front of the mountains), colorful Victorian houses, the stunning bay set against the surrounding hills. 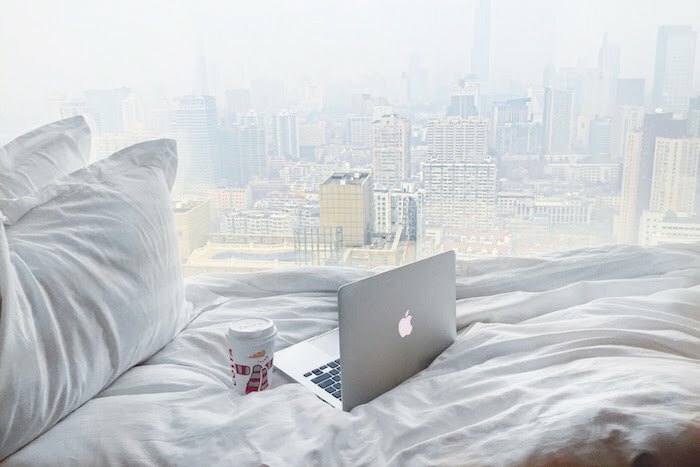 An Instagrammer's paradise! 5 // ...and its proximity to other interesting and picturesque places. Leaving the city and driving for an hour in any direction gets you somewhere unbelievably gorgeous: wine country, the ocean, redwood forests, big cities, college towns. Day trips are the jam! And if you venture even further to the snowy mountains of Tahoe or the dramatic cliffs of Big Sur, there are even more wonderful adventures awaiting. 6 // all of the different neighborhoods! In San Francisco, you can be walking down the poshest of blocks, and then be in a completely different realm once you cross the street. And although this can be quite scary at times actually when you accidentally step into a not-so-safe area, there's always somewhere new to explore. Each neighborhood has a completely unique character, climate, and history, and there is so much to admire about them all. My personal favorites are trendy Hayes Valley and the hip, sunny Dogpatch (which is my own neighborhood)! 7 // how WEIRD of a city it is, and just how much its residents embrace this weirdness. Oh my goodness, I can't even tell you how quirky and strange San Franciscans can be. I mean - for starters, Bay to Breakers is practically a city-wide holiday. We've been on cable cars in full Santa suits, and no one looked twice. I honestly can't even tell you the strangest thing I've witnessed because there's always something odder. 8 // I love how it's such a big city in reputation and how we have access to all the perks of living in any well-known city around the world (so many incredible things to do and see - concerts, museums, sporting events, culture), and yet it's still very much a small town in very many ways - you can walk from one side of the city to the other in a few hours, neighborhood spots are still intimate, businesses close early at nights. 9 // the FOOD (give me all the burritos! ), the COFFEE, the farmers' markets, the craft fairs, the boutiques, all of the small businesses. People are constantly creating delicious, beautiful, unique goods - and I reap all the benefits. But seriously, this city is foodie central and my waistline agrees! Of course, that is not to say that San Francisco is perfect. Exhibit A: $$$$$$$$ and Exhibit B: earthquakes. Perhaps I'll write another blog post with exhibits C through... E? F? But until then, I'm all hearteyes for this town. Tell me: where do you live? How did you end up there? What do you love about your home, and what are some things that drive you crazy about it?